Royal Enfield 650 Twins are still experiencing a waiting period of up to 3-5 months. The duo was launched in India back in November 2018. Royal Enfield 650 Twins despite being priced over Rs 2 Lakhs are getting an overwhelming response. Such is the demand, that it is still experiencing a high waiting period. Launched back in November 2018, buyers are still facing a waiting period of up to 3-5 months, depending on the states. In Mumbai and Chennai, the minimum period is nearly 4 months. While the deliveries of the Twins have commenced across the states, the batches are not adequate for the number of bookings it has received. 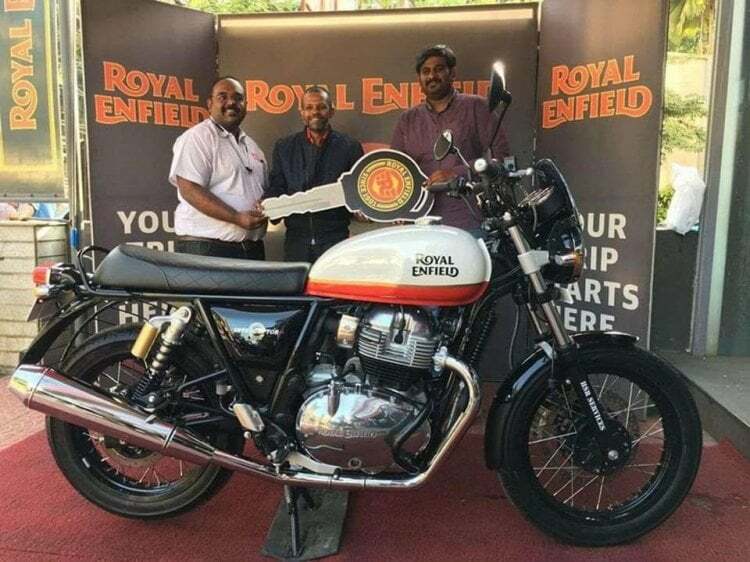 The Royal Enfield 650 Twins are being exported to many countries from here, which is also delaying the deliveries. Furthermore, the recent labour strikes at the manufacturer’s plant in Tamil Nadu hit the production. To add more, the exports of the company are showing better results than their domestic sales, since November. For the past 2-3 months, the sales of RE have been falling down. In an earlier report, Siddhartha Lal, Ex-CEO and MD of Eicher Motors, confirmed that soon the production capacity of the motorcycles will be increased from 2500 units to 4500-5000 units a month. Royal Enfield 650 Twins include the Interceptor 650 and Continental GT 650. INT is a classic roadster with a relaxed riding posture. The GT 650 is a cafe-racer, offering a crouched riding posture. Our dealership sources have confirmed that Interceptor has received more bookings than the GT 650. The former is a more popular bike because of its riding style. Both the motorcycles use a new 648cc parallel twin-cylinder air-cooled engine, that delivers 47 BHP and 52 Nm of peak torque. The motor comes mated to a 6-speed gearbox. The Interceptor 650 is priced from Rs 2.5 Lakhs to Rs 2.7 Lakhs. Continental GT 650 demands a premium over it, starting off at Rs 2.65 Lakhs up to Rs 2.85 Lakhs (prices ex-showroom).